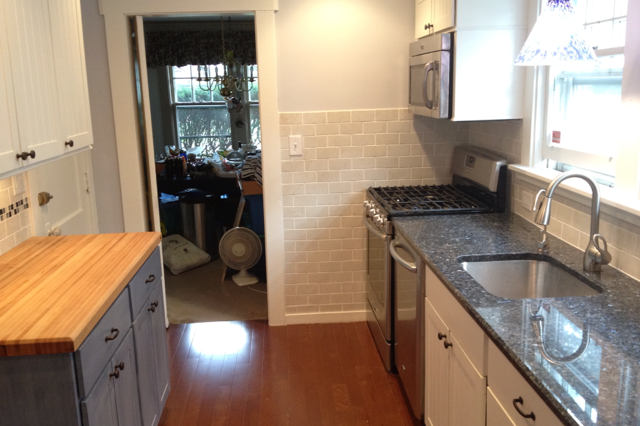 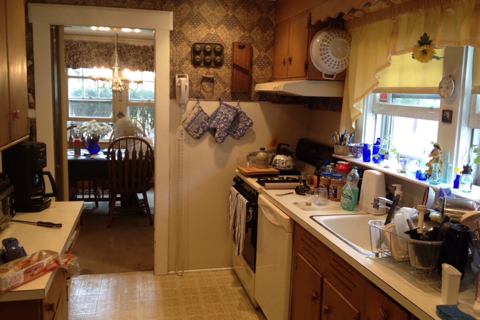 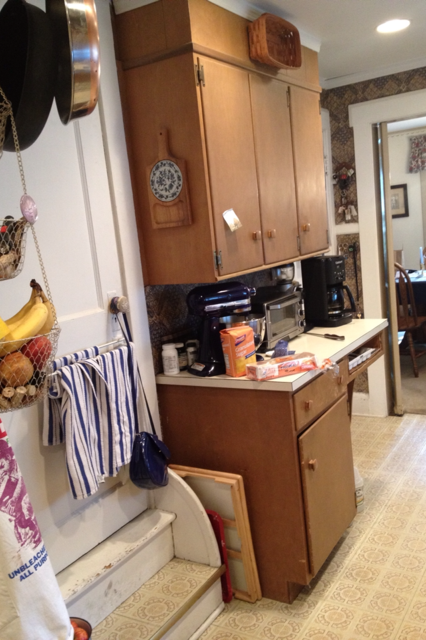 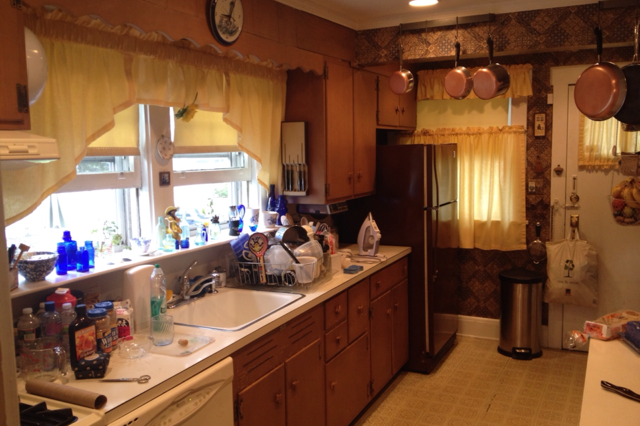 I had a fun summer remodeling a kitchen for some friends. 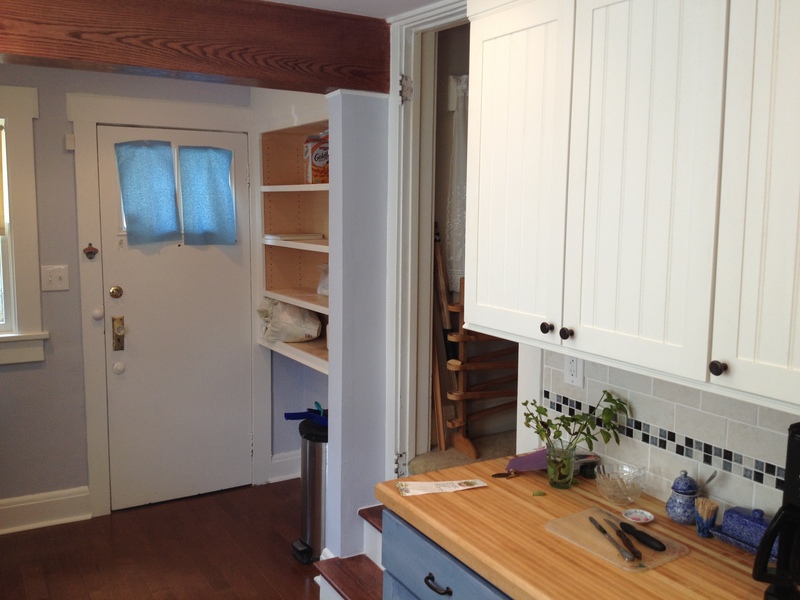 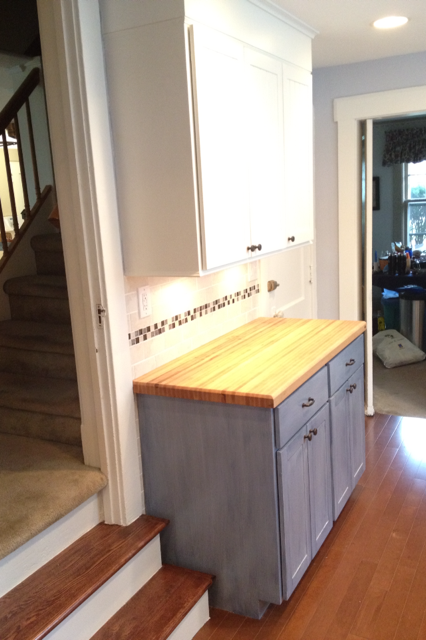 The project included building several cabinets from scratch including a blue wall island with a solid maple top, re-finishing/configuring others with all new doors and drawers, and building dovetail drawers for the whole kitchen. 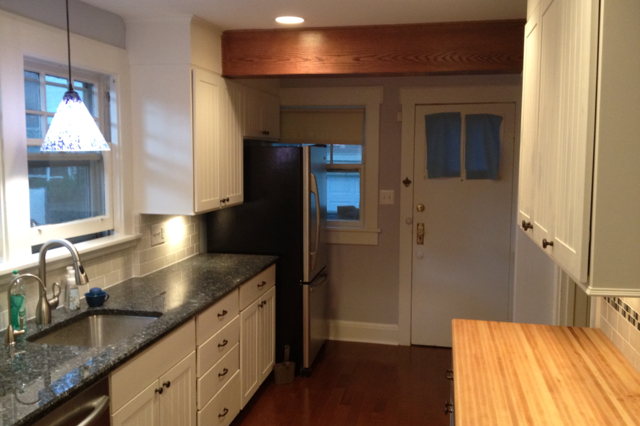 Hardwood floors, ceramic backsplash tile, blue pearl granite, and solid oak overlay to a structural beam finished off the kitchen. 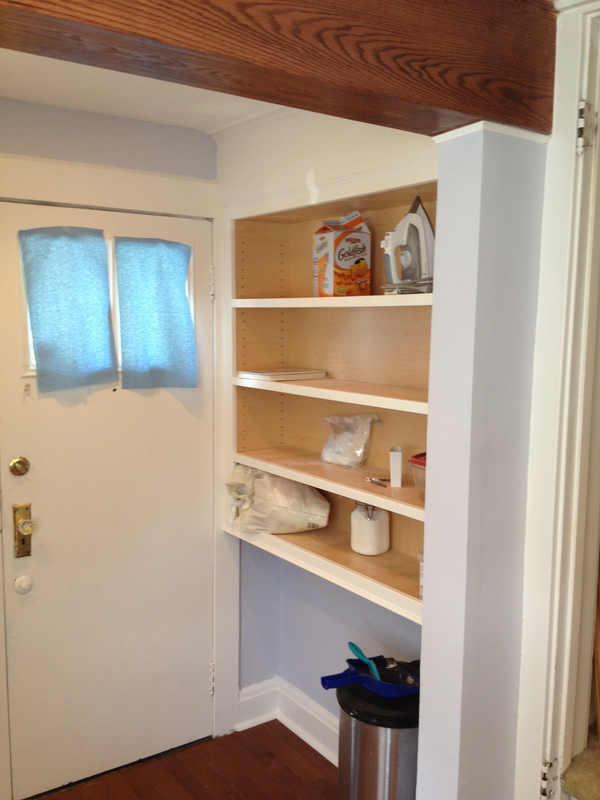 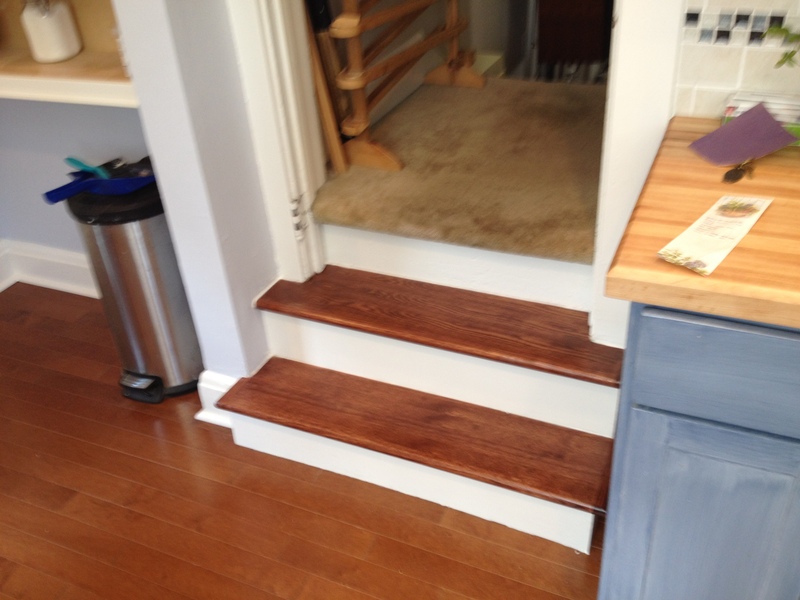 I have attached some before and after photos of the project.